The design brief for this project in the Sutherland Shire was to create a truly inspiring, predominately native garden with a meandering boardwalk at the front of the residence. Garden Crew landscaped the front garden by constructing a boardwalk out of Merbau. The boardwalk meanders around a dry river bed. 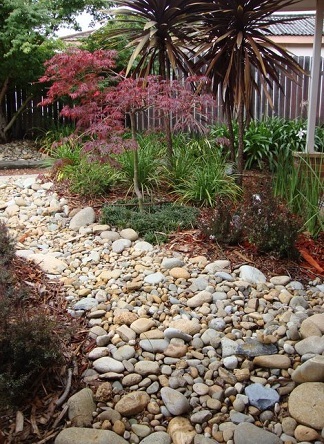 Predominately native plants flank the dry river bed to create an atmosphere of being in the Australian bush.